Bikers Basics — Motorcycle Adventures on The Globe! Bikers Basics - Country facts Estonia! Bikers Basics - Country facts Finland! Bikers Basics - Country facts Russia! Bikers basics - Country facts Norway! Bikers basics - Kazakstan country facts! Bikers Basics - Mongolia country facts! Bikers Basics - World’s highest and lowest roads! 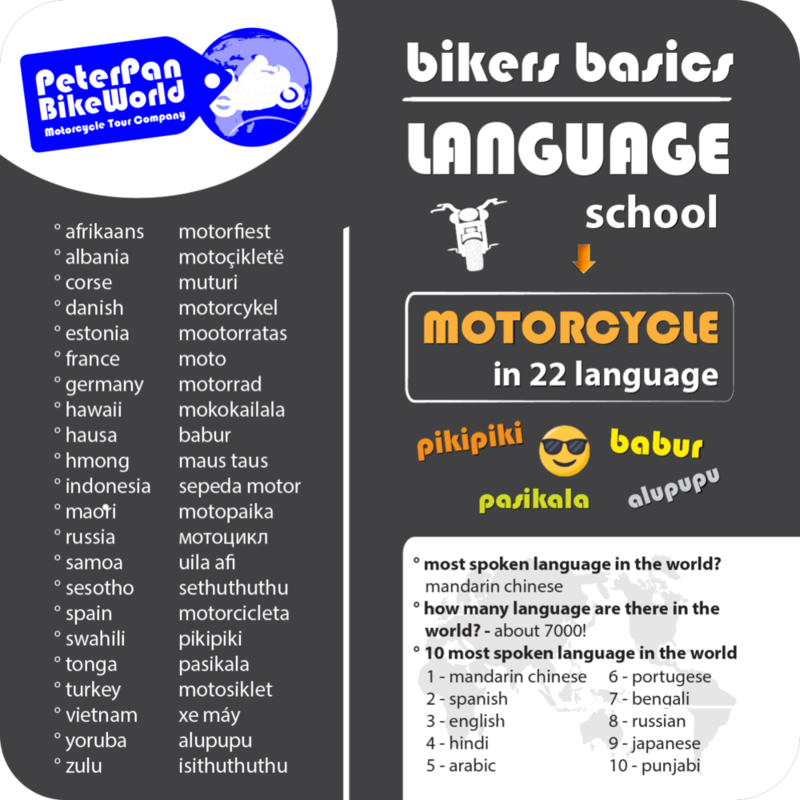 Bikers Basics - Language school. Motorcycle in 22 language! Biker Basics - World's longest straights and lowest countries! If you are interested of some tour here with your own group! Let us know, we have a ready itineray from all of these and we are happy to make you an offer! 2560km (1572ml). Los Angeles - Olympia via Olympic National Park. 473km (294ml). Manali - Leh Highway on the Globe’s roof, Himalaya! 24000km (13913ml). Anachorage / USA to Ushuaia / Argentina the shortest way! 3945km (2448ml). Chicago - Santa Monica . 1724km (1071ml). Hanoi - HoChiMinh City. 1623km (1009km). Tijuana - Cabo San Lucas. This is a network of roads in central- and eastern Finland!